Small Plates in San Francisco — Oh Wonderful! SMALL PLATES. They’re all the rage in San Francisco and everywhere. Obscenely expensive at times for such a small helping of food. But somehow, restaurants everywhere are riding the wave and getting away with it. I’m happy to live in the hub of this small plates wave — from San Francisco to Oakland, I’ve had some of the best pre-dinner meals there is to offer. Valencia Street, arguably San Francisco’s most concentrated zone of new and highly acclaimed restaurants. 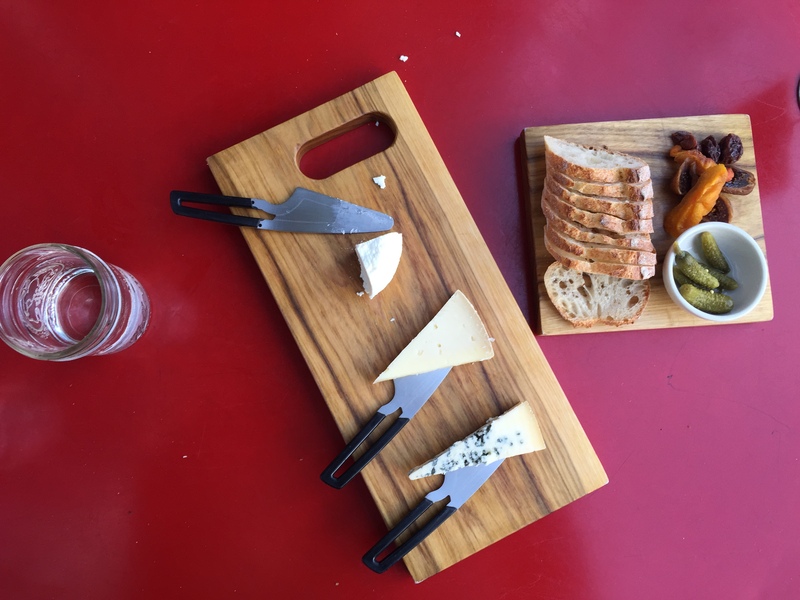 Right off of 18th on Valencia sits Mission Cheese , home of the best cheese plates and wine combinations. The California plate, obviously enough, features cheeses straight from the Golden State which are usually prize-winning, locally sourced, and just pretty damn good. The cheese-mongers behind the counter will happily (and successfully) suggest a perfect beer or wine pairing. Everyone who’s been living in Hayes Valley for a while seems to hate Hayes Valley now. It’s probably because of cool places like Biergarten, which is exactly what the German name implies. Right after work on a warm, San Francisco evening, this place gets packed. We’re talking the after work FiDi crowd, with their button-up shirts buttoned one less button and the new-Hayes girls with their Mansur Gavriels and cool, on-trend Vince slip-ons. Regardless of the clientele, Biergarten is the perfect spot for when cold nights turn a bit warmer and if you’re looking for an outdoor post-work drink option. 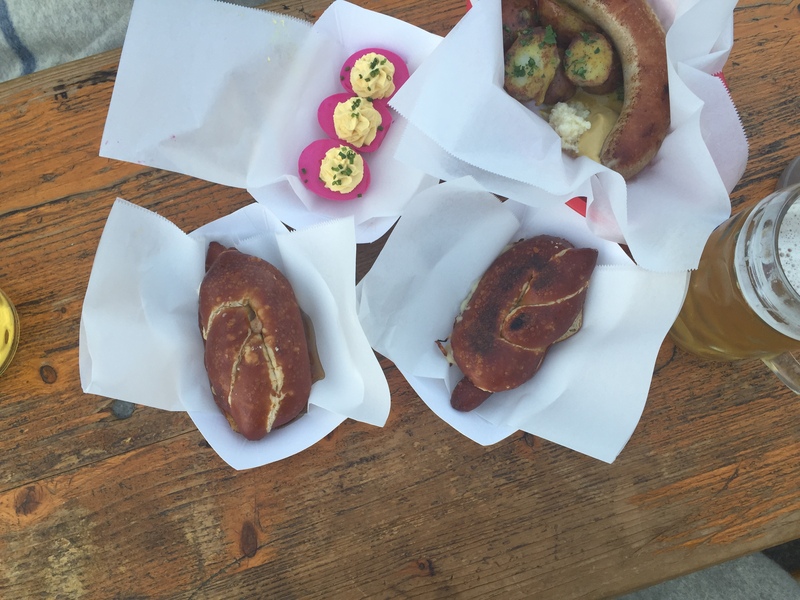 Pretzel-bread sandwiches are on point, pickled deviled eggs are ridiculously pink, but refreshing, and the Radler (a Hefeweizen mixed with a lemon soda) is just as bubbly and sweet as it sounds. Last, but definitely not least, we have The Mill . Not Mill. 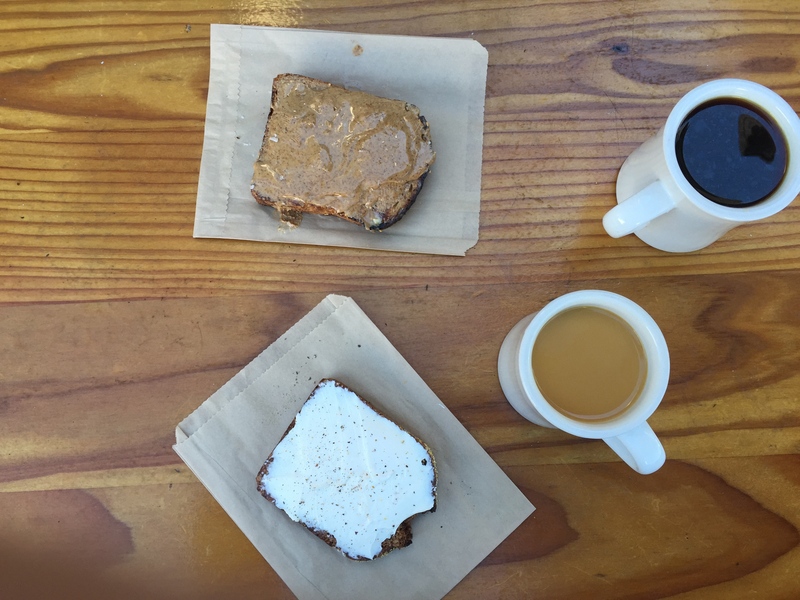 But The Mill, the NoPa lovechild of Josey Baker Bread and Four Barrel Coffee. Situated right on Divisadero Street, one block up from Alamo Square (the Full House houses are there), this place gets packed starting 9:30 on any given weekend morning. It’s easy to make fun of this place, because one cup of coffee and one piece of toast will set you back nine whole dollar bills. But, the bread is baked fresh every day with grains and seeds that add a special depth to the crispy crust and perfectly dense inside.